You’re certainly allowed to complain about the industry you’re in—but maybe don’t do it on Instagram. 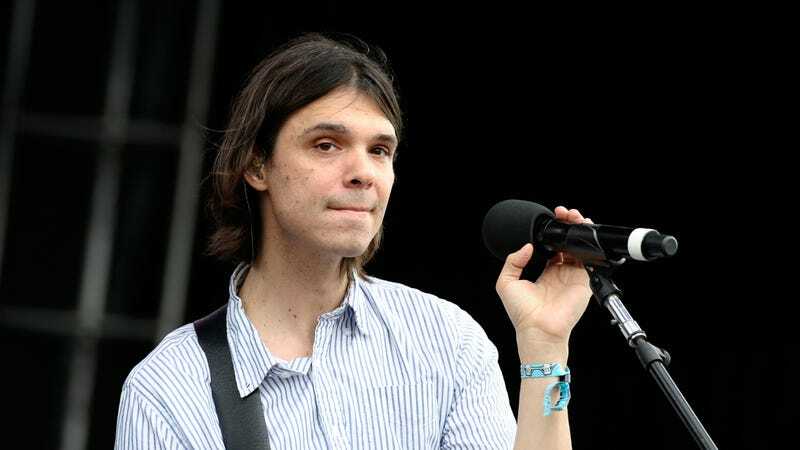 David Longstreth, the face of the Dirty Projectors, learned this last month when he penned a few words about the state of indie rock in his Notes app, screenshot it, and uploaded it to Instagram, calling today’s indie rock “musically underwhelming.” The backlash was swift, but things only got worse: writing in the comments, Fleet Foxes singer Robin Pecknold suggested that the genre’s last great moment was in 2009, when Animal Collective released Merriweather Post Pavilion and Grizzly Bear put out Veckatimest. Longstreth and Pecknold came off as out-of-touch and bitter, and most of all, dead wrong (Longstreth invoked Migos’ “Bad and Boujee,” a runaway trap hit by a rap trio from Atlanta, to bemoan the state of his contemporaries). But when everything quieted down, Longstreth’s qualms seemed like a genuine (if poorly worded) moment of mid-career self-reflection. Longstreth isn’t the first to wade into indie rock’s racial politics—in fact, the question of “white” or “black” indie rock sounds (or is supposed to sound) as always been on the heart of figuring out what indie rock is. In 2007, Sasha Frere-Jones at the New Yorker mused on the overwhelming whiteness of indie rock. Frere-Jones, who is white, focused less on the racial makeup of bands and more on the genre’s sound—his concern was why the bands sounded the same and what could have happened to their “black” influences. (Is it possible Frere-Jones had never heard TV on the Radio?) Still, his essay hit upon the fact as these bands reached new levels of popularity, their aesthetic and style grew increasingly insular. Music journalist Nitsuh Abebe said the same in his 2009 essay for Pitchfork, ‘This Decade In Indie.’ He tracked how indie went from a cultural touchstone to a marketing one—a cheap trick used to target an idealized white millennial consumer. (Think of how Apple used Feist, Chairlift, and the Yeah Yeah Yeahs to sell iPods.) The fringe had become mainstream, so much so that Pitchfork darlings found a new home on Twilight soundtracks. Abebe wondered what might be next for indie rock, but he sounded like he was writing its obituary. It was around that time that indie rock, a fairly inelastic term, was being stretched too thin. In the ‘90s, the term was used to describe post-college rock bands and loud guitar-driven music, like Built to Spill and Pavement and Sleater Kinney; the 2000s opened up the umbrella. The harsh experimental yelps of Animal Collective, the hand-wrung African-tinged pop of Vampire Weekend, or the near-mythical tearjerkers of Justin Vernon were all “indie rock.” Even the Dirty Projectors’ chamber pop was simply, for a lack of a better phrase, indie rock—even though the band never had deep roots in that space. Still, around 2010, Longstreth’s band was at the center of the indie rock universe and attracted attention from Björk to Solange, whose cover of “Stillness Is The Move” appealed to R&B and indie fans alike. Solange’s cover flipped the script. As she told Vulture in 2010: “The white kids aren’t going to jack our style anymore! We’re taking it back!” Black artists were starting to pull from indie, and vice versa. Today, indie rock is like the minor leagues, where artists can work their way up to where the real money is: not stadium rock, but the black universes of rap and R&B. Bon Iver worked with Kanye, and was greatly influenced by the rapper on his latest album; Father John Misty wrote for Beyoncé; Toro Y Moi worked with Travis Scott; and even the truly obscure Alex G provided guitar work for Frank Ocean’s latest projects. The artists we once thought of as indie rock purists today aren’t—signaling that maybe the label itself should be retired, that we need better language to talk about the scope of all the independent music being made today. It feels like we’ve outgrown the term, but perhaps it was always incomplete to begin with. “Indie,” of course, connotes that the genre isn’t concerned with status or glory—but many indie artists do go on to achieve household-name status, or break out and work with those who do. On his latest album, the self-titled Dirty Projectors, Longstreth sings, “What I want from art is truth / What you want is fame.” The line seems to take aim at former bandmate Amber Coffman (also Longstreth’s ex) and her pivot away from the indie rock world. But it could be seen as critique of himself through Coffman’s eyes. Coffman has gone on to work with EDM staple Major Lazer and rappers J. Cole and Snoop Dogg—but Longstreth, too, has strayed from home, working on Rihanna’s “FourFiveSeconds” and Solange’s album, A Seat At The Table. Dirty Projectors draws from that tension. Longstreth never became a household name, and the gap between his projects probably tempered how much attention he got in the indie-sphere—and his latest, in many ways, also sounds tempered. If indie rock’s golden moment was in 2009, then perhaps it helped that we were living in the post-Obama dayglo warmth, a time that in 2017 feels so distant. Going back to his Instagram, Longstreth’s tirade was belittling, but you get the sense he was also longing for a time when the stakes were lower. If you listen to it again with that in mind, you’ll see how Dirty Projectors pairs itself down, so much that no matter who hears it, you can imagine there won’t be any requests for Longstreth to scale up.